Palate: Vanilla, wood, dried fruits, spicy, with an oaky undertone. A good length of finish that's subtle, yet lingering. 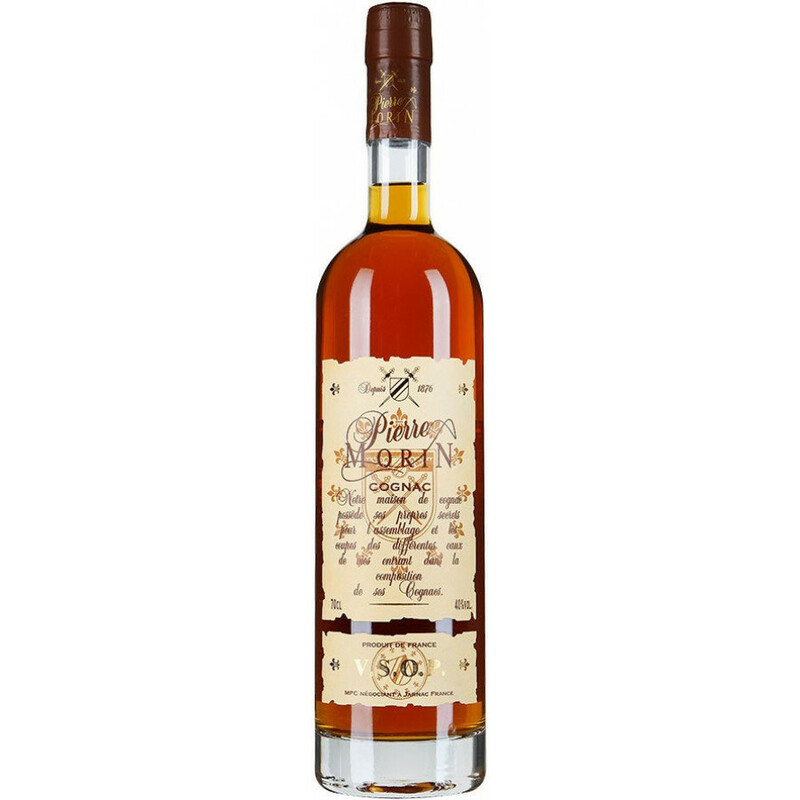 The Pierre Morin VSOP is a good quality, staple Cognac that's a truly versatile addition to any drinks cabinet. Fusing the tastes and aromas of fresh and dried fruits with spices, and a wonderful tone of smoky oak, it can be enjoyed in many different ways. Ideal as an aperitif - perhaps over ice or combined with a favorite mixer. But don't be mistaken into thinking that it's not of a high enough quality to enjoy neat, because it certainly packs a lot of punch! it's a great digestif after a chocolate dessert. And it has more than enough character to beautifully complement a good cigar. This is a Cognac that will appeal to those who enjoy discovering smaller Cognac houses, and in particular, those who bide by the traditional methods of carrying out all aspects of the creation in house. From the vine to the bottle, the Pierre Morin VSOP is a truly traditional, artisan Cognac.